Extra Energy relieves feeling of fatigue. Take 3 tablets once a day, without food. Microcrystalline cellulose, hydroxypropyl cellulose, silicon dioxide, stearic acid, croscarmellose sodium, aqueous coating (hypromellose, glycerin) magnesium stearate, vanilla flavor. 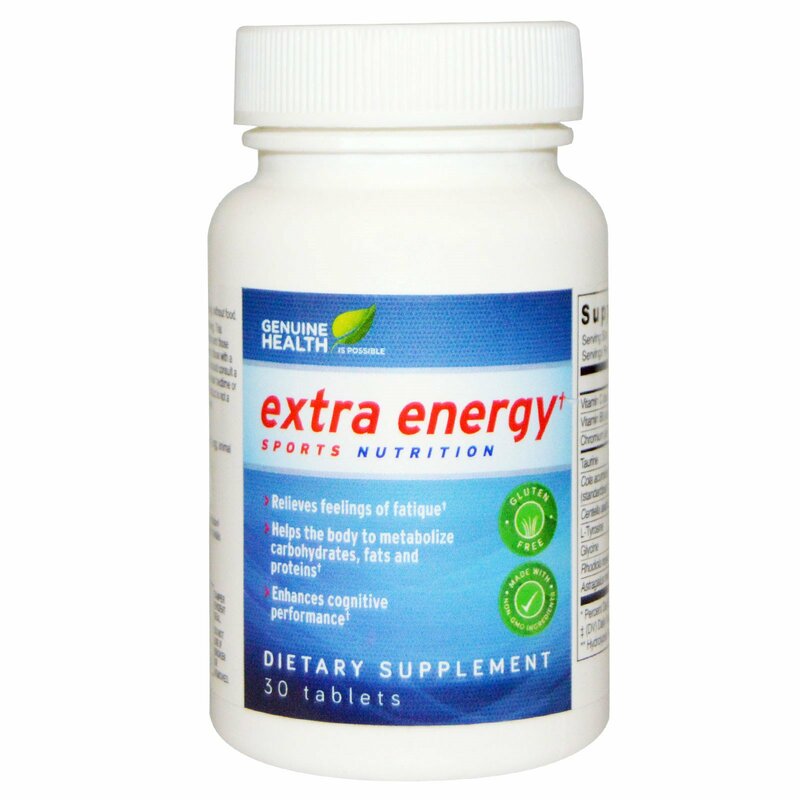 Extra Energy does not contain gluten, dairy, egg, animal products, artificial color or sweeteners. 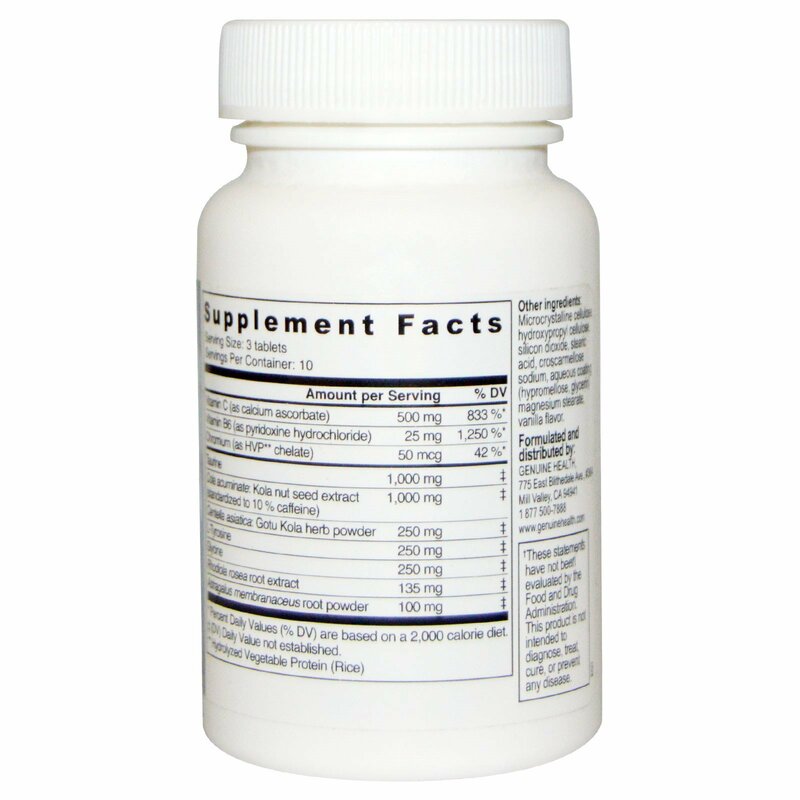 Contains 100 mg of caffeine per serving. This product is not intended/recommended for children and those sensitive to caffeine. Pregnant or nursing women, those with a medical condition, and those taking medication should consult a health care professional before use. Do not use near bedtime or with other caffeine-containing products. This product is not a substitute for sleep. Keep out of reach of children. *Percent Daily Value (%DV) are based on a 2,000 calorie diet. ‡ (DV) Daily Value not established.